It’s that time of the year again when we’re already thinking about the next. But as we countdown to Christmas day, we thought we’d join in and share 12 things that we do here at Designworld. Although we do a lot more, (there are only 12 days to take advantage of after all), the projects we’ve chosen show a wide range of graphic design and communications that our clients have asked us to design and create for them. 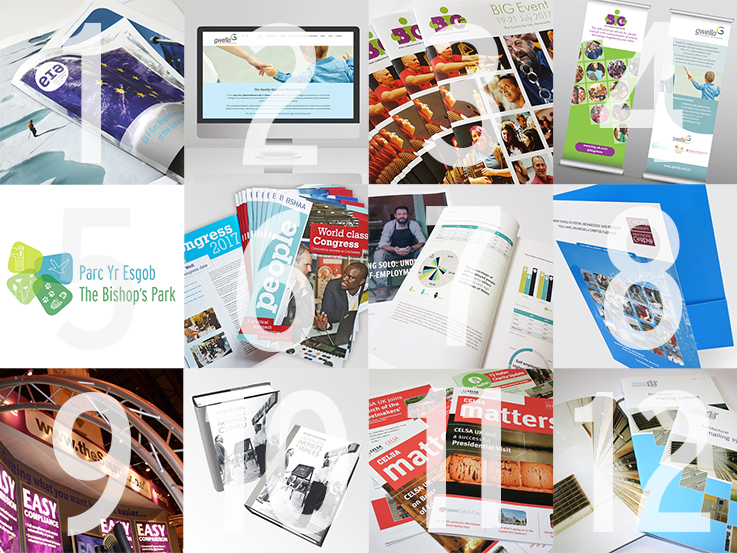 These include magazine and newsletter design and management, marketing and sales packs, exhibition and event materials, logotypes and identity, infographics, book design and typesetting, bilingual reports, catalogues and websites. If you think we could help with any of your up and coming projects, please get in touch – we’d love to have a chat in 2018! New Infographics for FSB Cymru	Who says you don’t need business cards any more?